For all your end-of-summer reading needs. Happy National Book Lovers Day! 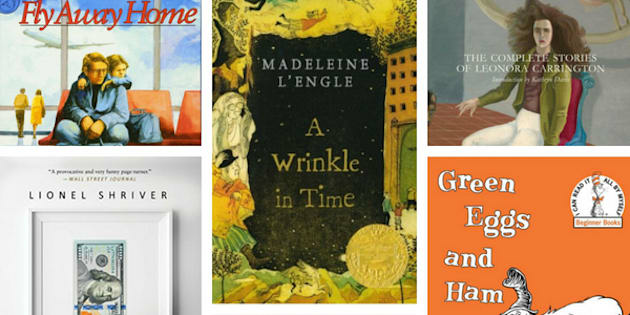 As a newsroom full of book lovers (read: nerds), we were happy to celebrate by talking about books that have changed our lives. For many of us, that meant books we read as kids or teenagers, which opened us up to new ways of thinking; for others, it was a recent read that tapped into something we just keep coming back to. See below for some of the books we'd highly recommend you read. "Experimenting with fiction and non-fiction, and dramatic changes of tense and voice, 'Coming Through Slaughter' was almost the come-to moment that moved me to pursue becoming a writer. I came across this book when I was a teenager, before 'The English Patient' became an international best-seller, and I knew nothing about Michael Ondaatje. I was drawn to the book's cover art and the fact that it was written by a fellow South Asian. I was instantly entranced by Ondaatje's take on the story of Buddy Bolden, a real-life jazz musician who lived in New Orleans in the early years of the 20th century. Bolden was known for his dazzling improvisations and that energy is translated into Ondaatje's writing. It's frenetic. Chaotic. Poetic. It's a book that defies categorization, genre, or classical techniques. It allows the reader to explore both the mind and life of Bolden, as well as the mind and life of an author who isn't confined to traditional narratives or writing techniques. "The Complete Stories of Leonora Carrington"
"I grew up reading Dr. Seuss, and so did my mom. I started reading his books to my pregnant belly when I was in my third trimester. It felt silly to read aloud to no one, at least no one I could see. Even the act of sitting in the just-assembled rocking chair in the freshly painted nursery was peaceful, so I did it most days. I'd rock back and forth, just me, 'One Fish, Two Fish,' and my baby boy kicking me enthusiastically during a particularly good rhyme. "I know the Harry Potter series doesn't need even more praise heaped on it, but it deserves every single accolade it has ever gotten. I've always been a reader — in fact, my mom got me potty trained by sitting me on the toilet with a book to keep me there — but the Harry Potter books truly changed my life. When I picked up 'Harry Potter and the Philosopher's Stone', I could not put it back down until I was done with it and waiting for each new book to come out felt equally exciting and agonizing. Finishing the last book truly felt like losing something ‚ an integral part of my life was over. "I read this graphic novel series as a teen, and later again as an adult. And again, and again. It presents a dystopian future filled with anarchistic technology, plotting populist politicians and runaway inequality — tell me when that starts sounding familiar. Fact is, despite being penned in the '90s, 'Transmet' has never ceased being culturally relevant, and that's why I keep coming back to it.